The smaller, lighter sibling to the award winning Arri Alexa provides ProRes and 2K recording from an enhanced sensor making the Amira a perfect choice for commercial, documentary and narrative productions. With the ability to capture from .75 to 200fps, the Amira will also be the perfect choice for off-speed capture needs. Shoot in Log-C, Rec 709 or with a custom Look/LUT. Fitted with a PL-LDS mount, the Amira can communicate with many of the newer cinema lenses and has a 12pin Hirose connector to work with ENG lenses with an Arri B4 mount adapter. 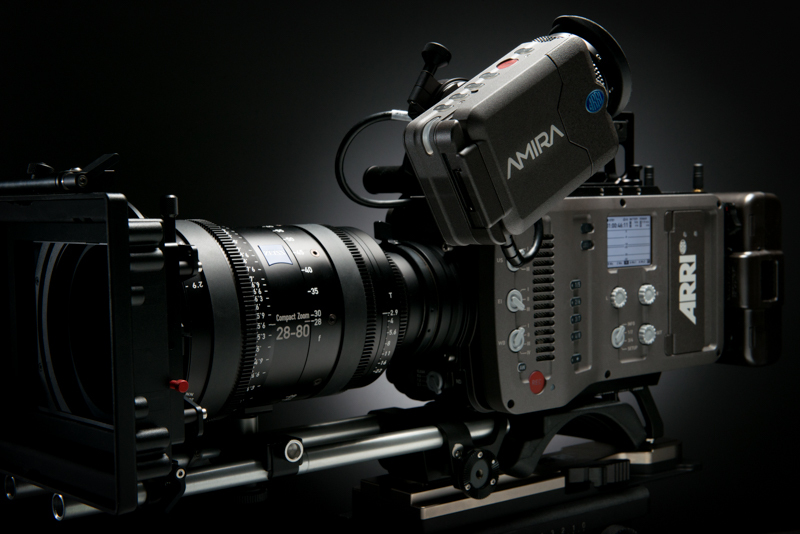 With a coming Q4 2014 firmware update, the Amira will gain the capability of shooting 4K UHD at up to 60fps.